Like the children enrolled, and the business around it, our original, diverse, and flexible afternoon program for preschoolers has developed a personality all its own. After more than 6 years, Big Kids Club has grown, and for September 2019, we're excited to introduce our new brand! Get Ready for Big Kids Club! 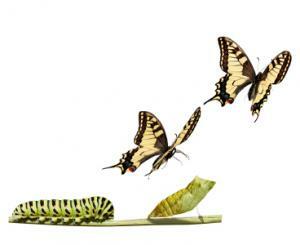 Toddlers make the metamorphosis into preschoolhood through developmental stages. To help them transform, we're presenting a 9-month schedule of structured scaffolding and events that you can follow along, and join any time! Step 1: Ready in their bodies - especially potty training and care routines! 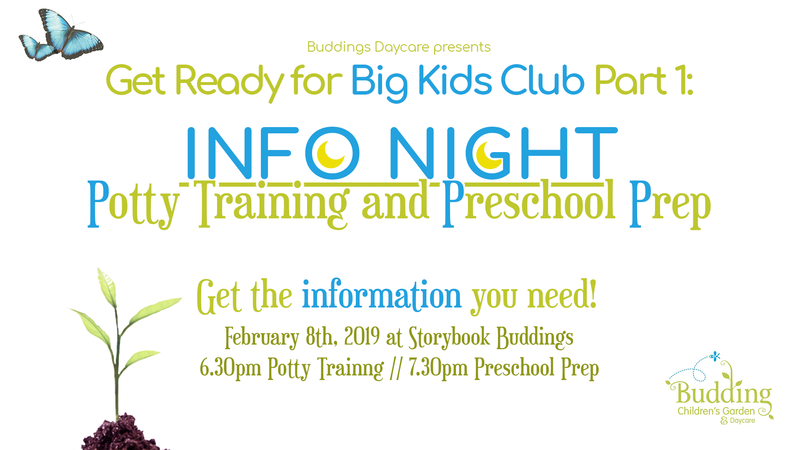 Join parents and teachers at Storybook Buddings for an evening info session about potty training and preschool prep. Repetition and routines make all the difference and this event will share tips and tricks to make the move. Stayed tuned through the spring and summer! Communication, and making needs known, is the key to success in preschool, and in life. This spring, we present our tried-and-tested method to build vocabulary, and develop language - through play! Step 3: Accepting and appreciating their friends, and the world around them! Recognizing preschoolers' innate abilities to imagine, and supporting the adventure as we travel far and wide this summer, is what makes Big Kids Club original, diverse, and flexible. Fieldtripping and real-world experience play a huge role in finding our place within society. A year in the life of a preschooler... is a lot. The transition from toddler to Big Kid takes energy, patience, and room to grow. We're thrilled to be part of the journey, and can't wait to see them all burst forth. Ready for Big Kids Club in September! See you then!